By Joss Gooseman: On the Philippine news site ABS-CBN, Manny Pacquiao (54-3-2, 38 KO’s) was quoted as saying that there are currently ongoing negotiations for a fight with unbeaten Floyd Mayweather Junior ( 42-0, 26 KO’s), but that nothing yet is final. 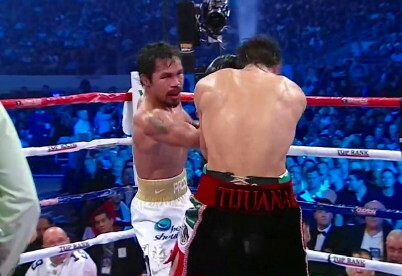 Pacquiao was quoted as saying that maybe after the seeing the Marquez fight, Mayweather must be thinking that “I can fight Pacquiao now since he had trouble with Marquez, while I myself beat Marquez”. Bob Arum neither confirmed nor denied the statement. But he said that “things are happening, but still nothing solid”. At the other camp, Richard Schaefer denied the statements, saying that Arum is more interested in a fourth fight with Marquez for Pacquiao rather than a fight with Mayweather, who is handled by Golden Boy Promotions. But he confirmed that certain members of Team Pacquiao reached out to them, bypassing Arum, for possible negotiations for the megafight.